If your client already has an AdWords account, or if you have created an account for them outside the MCC, you will need to link it to your agency’s MCC. 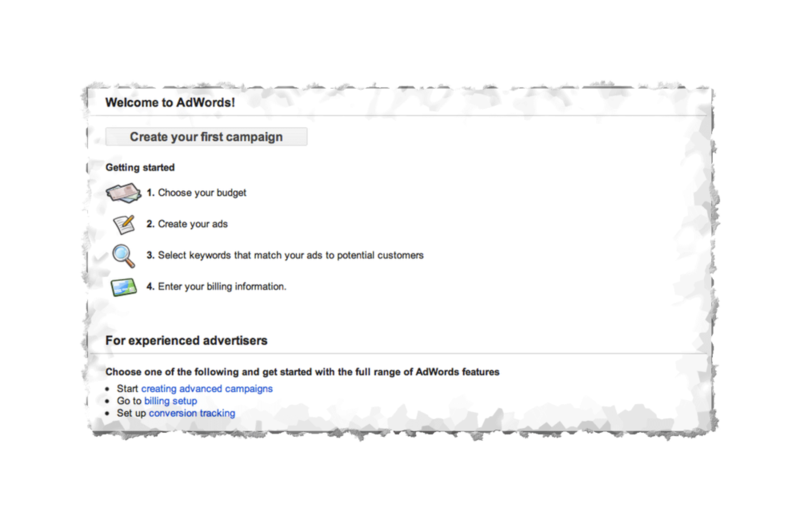 In order to kick off the process, you will need to know the Customer ID of the AdWords account you are trying to link. If the AdWords account can only be accessed by your client, ask them to log in to AdWords and copy it off the top-right corner of their screen. While it is quite common for agencies to also access their client accounts by using their individual logins and passwords, this is recommended only as a last resort since Google’s linking functionality is much more secure and transparent. Next: Creating Your First Campaign. 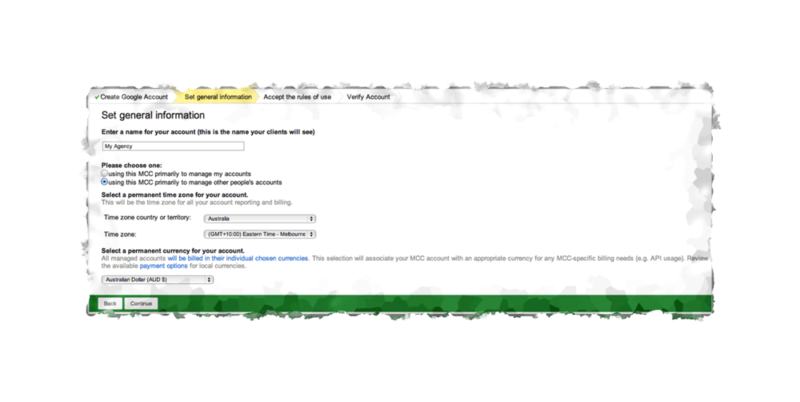 Once you’re logged into your MCC, click on the green Create Account button and choose AdWords. NOTE: AdWords Express may be more suitable for some clients which are small businesses, especially if you will be spending a minimal amount of time on optimisation. 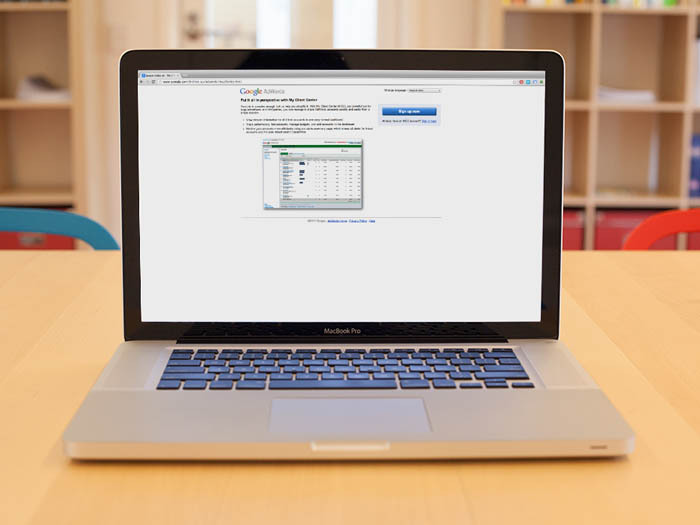 Compare AdWords and AdWords Express. Give it a meaningful name that corresponds to the client who the account is for. Set the time zone and currency settings very carefully because these can NOT be changed after the creation of the account. This might require consulting with the client, especially if they have multiple offices and locations. If you are creating an account for a client, it is highly recommended that you give them access to the account. Please note that the email address you put in the invite must be a Google Account that hasn’t previously been associated with an AdWords account. You may need to get in touch with your client in order to arrange for them to create the email address. Alternately, you can create a Gmail account on their behalf and use it here, then give them the Gmail account’s login access. 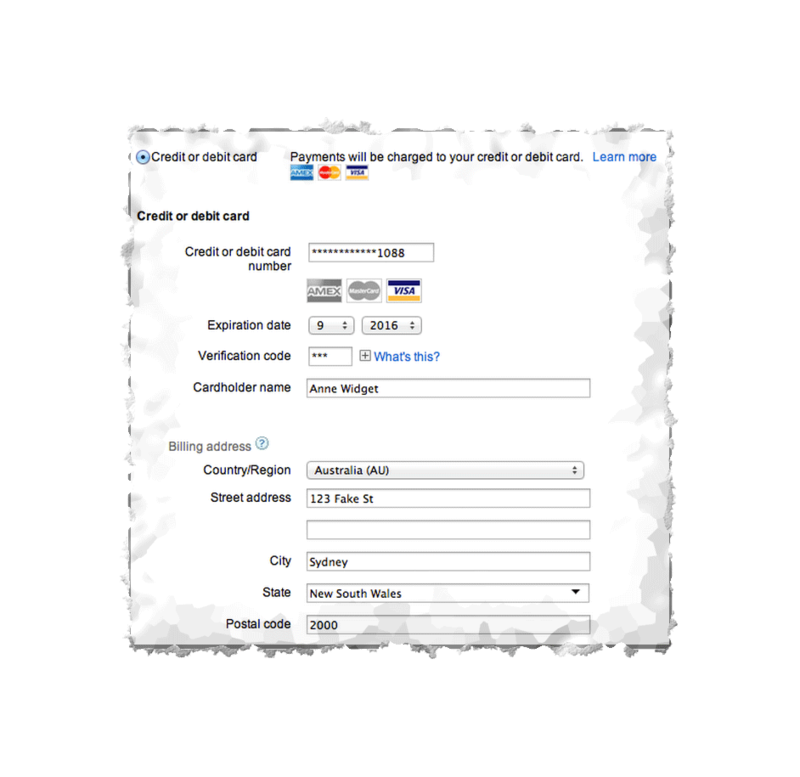 Once the account is created, it will appear in the accounts table. Google will also show a summary of the account details above the table. Next: Linking a Client's Existing Account. An MCC account is like an umbrella account that is used by agencies and large advertisers to group multiple AdWords accounts. It makes it easier to work on multiple accounts, switch between accounts and consolidate aspects of reporting and account management. As an agency in the Google Partner program, you should have an MCC that corresponds to your company and contains the individual client accounts that you manage. If you are just starting out, it is enough for your MCC to just contain a demo or practice account. A Google Account is a Gmail address or a third party email address that’s been registered with Google. Each MCC must correspond to a Google Account that isn’t already associated with another AdWords account. For example, if adwords@myagency.com is a new Google Account, it can be used to create an MCC if it hasn’t already been used to create an AdWords account. If your agency has already used this email address to create an AdWords account to manage its own ads, you would need to create a new Google Account (eg. mcc@myagency.com). 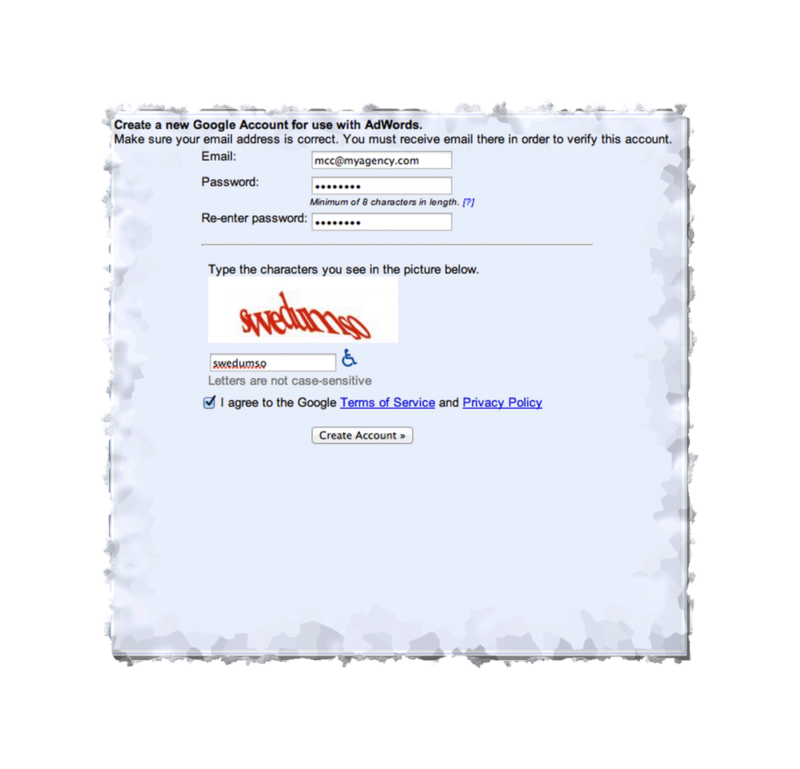 Otherwise you can create a Google Account by using any email address you have access to. If your agency doesn’t have a dedicated one, we recommend creating one first (eg. mcc@myagency.com). A name, identifying your agency to any client who you might send an invite to link their account to your MCC. Its purpose -- agencies should choose option 2 (using this MCC primarily to manage other people’s accounts). Time zone and currency. The time zone and currency should reflect the settings for your agency’s location. 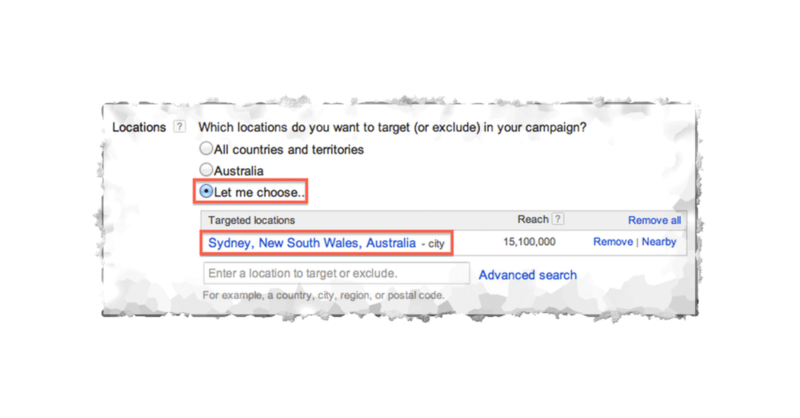 The AdWords accounts you link to your MCC might have different time zone and currency settings. You will also be required to accept the Terms and Conditions for the MCC. If you chose to create a new Google Account, Google will now send you a verification email with a link to click on before you can proceed. Your home screen will show all the AdWords accounts that your MCC is linked to -- which will be empty to start with. To continue, you will need to create new AdWords accounts or link existing ones.